Winter is coming! Well, okay, not quite. But the gang does have their own kind of battle on The Big Bang Theory Season 9 Episode 21. As they all get ready for a big Game of Thrones viewing party, tension mounts between the friends to create new pairings and ultimately offer a really satisfying episode. Raj is understandably annoying, and I don't blame Howard one bit for calling him out on it. Quite frankly, I'm happy for Raj, and I enjoy the fact that like many of the other characters, he's grown and changed – and now has the ability to speak to women without the help of alcohol. Unfortunately, he still has some insecurities, which make him feel the need to brag to his friends. And it's obnoxious. Meanwhile, Leonard has apparently decided after all these years to push back on Sheldon's quarterly roommate meetings. It seems to come out of nowhere; this is something he's been putting up with for years. Now, all of a sudden, he's upset about it, and it feels out of place. So much so that it spoils their Game of Thrones viewing party and causes the group to split. 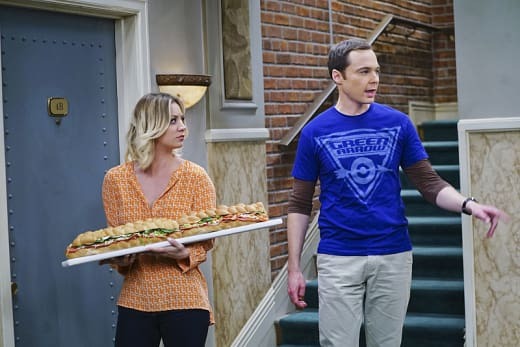 Penny actually takes Sheldon's side, while Amy takes Leonard's. Why? Amy admits to being jealous of the connection that Penny and Sheldon have. 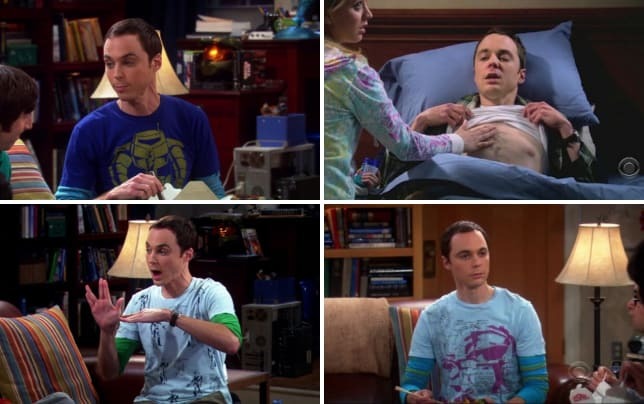 I've said for a long time that Sheldon and Penny's friendship is one of the most important driving forces on this show, so it's interesting to see Amy finally point it out. I also really enjoy the opportunity to see Leonard and Amy bond in their own way. That's a dynamic I wouldn't mind seeing explored further. Any episode that puts the entire gang together like this is a win. This show thrives on the group dynamic. I only wish Bernadette would have been more a part of it as well. Of course, it wouldn't be a proper Game of Thrones viewing party if someone didn't show up in costume. I'm actually surprised they didn't all dress up. I never would have thought about nuts being in the mortadella either. Good to know.